​of full throttle expression of feminine intelligence." Do you have a message burning in your heart that you know you need to share? Are you ready to be completely done with fear and self doubt holding you back? 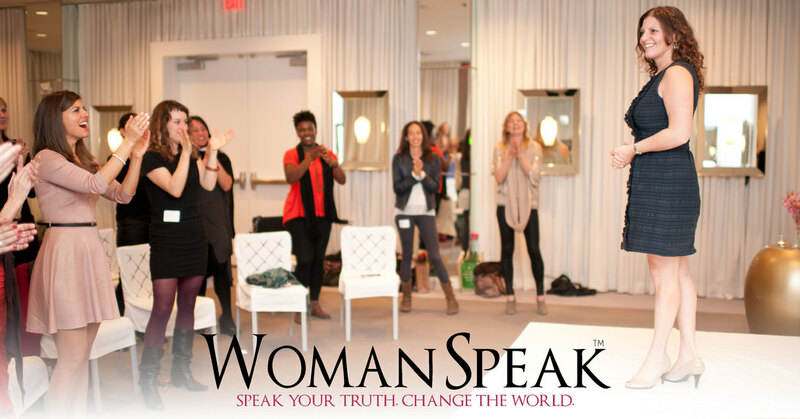 Join KC Baker in Australia, founder of WomanSpeak and acclaimed international public speaking for women expert. Featured in the Wall Street Journal, The Daily Love, and Women 2.0, KC has been hailed as “One of the Top Planetary Changemakers” by Origin Magazine. She has supported thousands of women around the world in finding the freedom, confidence and clarity to speak up and create change. Her clients are women entrepreneurs and corporate leaders, authors, founders of foundations, Olympians, TED/TEDx speakers, politicians and non-profit social changemakers. Women who have worked with KC have gone on to speak on stages such as The American Heart Association, TED/TEDx, Wisdom 2.0, Bioneers, Emerging Women, Lamaze International, Princeton, Hass Business School at UC Berkeley, conferences and symposiums around the world, and local community gatherings. KC has spoken and taught at The United Nations, Women@Microsoft, and TEDxWomen, among others. She was an Advisor on Authentic Communication for Secratary Hillary Clinton’s 2016 Presidential Campaign. Here are just some of the amazing women CK has worked closely with: Nisha Moodley. Regena Thomashauer, Andrea Nakayama, Melissa Thomas-Fernandez, Kristine Carlson, Elan McAllister, Kym, McNichols, Roz Savage, Katherine Collins, Michelle Fetsch and so many more!